Good Looking Boyband from Nagoya!! Five Unique Members Chosen from 2020 Applicants!! NAGOYA Boys audition was organized by Watanabe Entertainment in Aichi, Gifu and Mie Prefectures to look for good looking boy-band for new generation. 2020 applicants battled fiercely to become the members of the boy-band who cheer up their local community with a variety of entertainment and will be loved by the local fans. On March 15th 2015, at the audition final held at Centrair airport, unique five members were chosen. Once named, they started their activity. 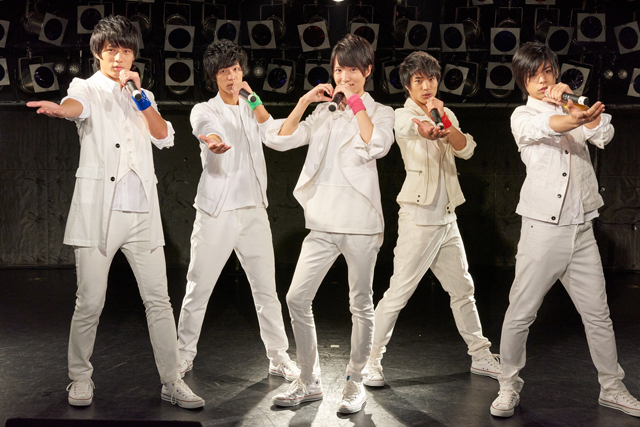 Right after the band launch, they were chosen as Hanasaka Times Reporter, drawing attention from the industry.